The LAUSD VISTA Community Partnership Program is a joint effort by the Corporation for National and Community Service and the Los Angeles Unified School District to build the capacity of LAUSD schools to effectively engage parents and community stakeholders in the process of creating and supporting quality schools using data-based collaborative decision making. Since 2011, 57 full-time Volunteers in Service to America, or VISTA Members, have supported over 100 schools and offices across the district. AmeriCorps VISTA is the national service program designed specifically to fight poverty. Founded as Volunteers in Service to America in 1965 and incorporated into the Corporation for National and Community Service’s AmeriCorps network of programs in 1993, VISTA has been on the front lines in the fight against poverty in America for more than 40 years. AmeriCorps VISTA (Volunteers in Service to America) provides full-time volunteers to community organizations and public agencies to create and expand programs that ultimately bring low-income individuals and communities out of poverty. VISTA members live and serve in some of our nation’s poorest urban and rural areas. Each VISTA member makes a year-long, full-time commitment to serve on a specific project at a nonprofit organization or public agency. 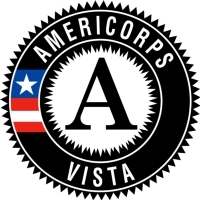 They focus their efforts on building the organizational, administrative, and financial capacity of an organization so it can continue to serve the needs of the community once AmeriCorps VISTA’s support has ended. The goal of an LAUSD VISTA Member is to expand and build the capacity of Education Service Centers and schools, primarily in the areas of family and community engagement, resource development and increasing attendance rates at participating schools. Based on needs assessments at each school, other projects might include: developing fundraising and sponsorship opportunities; implementing internship and mentorship opportunities and after school programming; and other projects, as needed. VISTAs will work closely with LAUSD’s Parent Community Services Branch team, as well as with staff in Education Service Centers, school sites, and external partner organizations to build and refine school-centered community support networks, as well as recruit and retain volunteers. LAUSD VISTA Highlights - Making Every Day Count! LAUSD Now Hiring AmeriCorps VISTAs for 2013-2014! AmeriCorps LAUSD Community Partnership Program begins Ambassadorship Program with presentations to an Australian group.